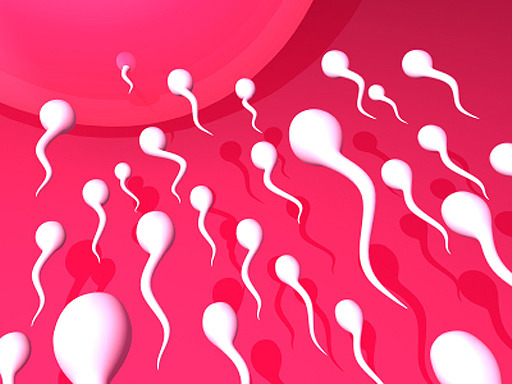 Men's sperm count cut by fatty food diet: Which foods can boost it? (CBS News) Add a low sperm count to the long list of health problems caused by eating fatty foods. A new study has found that men who eat a high fat diet that's especially heavy in saturated fats may have more than a 40 percent lower sperm count than men who eat healthier. Scientists zap sperm counts with ultrasound: Next male birth control? For the study, researchers surveyed 99 men about their diet habits and analyzed their sperm samples between December 2006 and August 2010. Based on their survey responses, the researchers put the men into three groups ranked in order of how much fat they consumed, and then looked how diet impacted "total sperm count" and "sperm concentration." Total sperm count refers to the total number of sperm in the ejaculate, while "sperm concentration" is the amount of sperm per milliliter. What did the researchers find? Men in the group that ate the most fat had a 43 percent lower total sperm count and 38 percent lower sperm concentration than men in the group who ate the least fat. The study is published in the March 13 issue of Human Reproduction. When the researchers took a closer look at the men's diets, they determined saturated fat intake was the main driving force behind sperm count reduction. Men who at the most saturated fats had a 35 percent lower total sperm count and a 38 percent lower sperm concentration than men who at the least. Meanwhile men who ate the most "good" kinds of fat, called omega-3 fatty acids which are typically found in fatty fish, had nearly 2 percent more sperm then men who ate the least omega-3s. Diets high in omega-3 fatty acids have been linked to protective benefits to the brain, such as reduced likelihood for Alzheimer's and dementia, CBS This Morning reported. Omega-3's are found in cold water fish such as mackerel, salmon, sardines and tuna, and also in flaxseeds, walnuts and soybeans. "The magnitude of the association is quite dramatic and provides further support for the health efforts to limit consumption of saturated fat given their relation with other health outcomes such as cardiovascular disease," study author Dr. Jill Attaman, assistant professor of obstetrics and gynecology at Dartmouth Medical School, said in a written statement. The researchers said that 71 percent of the men in their study were overweight or obese, much like 74 percent of men in the U.S. population, which suggests lots of men around the country may not have strong sperm counts. The World Health Organization says a "normal" total sperm count should be at least 39 million, and a normal sperm concentration should be at least 15 million per milliliter. Commenting on the study, Dr. Joseph Alukal, director of male reproductive health at NYU Langone Medical Center, told HealthDay, "Although this study is limited by the number of patients evaluated...it reminds us that male fertility is delicate and can be easily influenced by the same things that influence our general health."